In a buzzing food industry full of more concepts and brands than we can even keep track of, how can your business thrive when the playing field is more competitive than ever? For starters, consumers are savvy and hip to what restaurants represent on an all-encompassing level. Guests want to know about the ingredients, menu offerings, management values and how your concept fits in on a community level. Often business owners assume the press only writes about topics curated internally. A great way to gain exposure in magazines, blogs and newspapers is by contacting these organizations and introducing your brand. If you have a big announcement in the works, reach out and connect with key writers to strike while the iron is hot. Editors are always on the lookout for something newsworthy to write about, and it can make their job easier when a great story is presented. Take the time to become aware of who the key influencers are in your local media and social media circles. There are also popular foodie channels on YouTube and Instagram that often have more influence than some of the magazines and blogs we read. By building quality rapport with these gatekeepers, you can open the door to some of your area's most discerning foodies. >>Re-evaluating your marketing efforts? Click here and learn how to eliminate the marketing you don't need with this e-book here! A hamburger shaped like a taco? Pizza served in your Bloody Mary? If it looks like #foodporn on camera, then the media may want to hear about it. Sometimes the right source sharing your wonderful food creation can start a chain reaction of interest in the press and via social media. Sharing your voice is a crucial stepping stone in winning the trust of both the media and loyal customers. No longer is what you offer on the menu enough. Now your community wants to know why you do what you do. Share that message often, through both social media and to the press when the opportunity arises. As the word spreads through these multiple platforms, your reputation grows and business can skyrocket to the moon. A quick route to exposure in the media is by throwing events surrounding big announcements with something worth talking about. Nothing gets our community more excited than giving people a reason to celebrate. The press and social media eat this stuff up too. Garnering media enthusiasm before, during and after the event can lead to increased social media exposure and editorial coverage in the press that might have not been realized before. There is a lot you can do on your own to garner press attention. It takes organization, research and follow-up to master this important part of marketing your business. 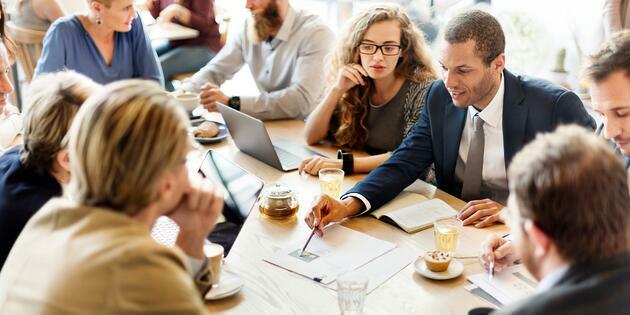 Most businesses are often too busy to handle much of this themselves, so they look to professional organizations and consultants to help handle these opportunities, relationships and press outreach campaigns. Are you seeking professionals to help market your restaurant? Learn more about the industries we've worked with here. Contact us here for more information. Re-evaluating your marketing efforts? Click here and learn how to cut out the marketing you don't need with this e-book!